Who knew that principals thought recess was so important? 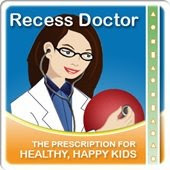 In fact, according to a research report entitled, "The State of Play", released yesterday, an overwhelming majority of principals (96%) conclude that recess has a positive impact on social development and (97%) of principals believe that recess has a positive impact on general well-being. But that's not all, 80% of them said recess has a positive impact on academic achievement and learning. The National Association of Elementary School Principals (NAESP) and the Robert Wood Johnson Foundation, joined with Playworks (formerly Sports 4 Kids) to commission the Gallup organization to conduct the survey of elementary principals nationwide. 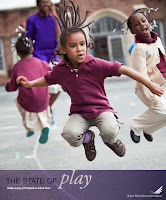 You can download the full report The State of Play Recess Report from the Robert Wood Johnson Website. An interesting finding in the report was the principals plea for help. As a retired principal I can relate to the finding that recess is a difficult time of day to manage. The discipline issues which are the responsibility of the elementary principal are counterproductive to learning and steal away principals ability to focus on instructional improvement for students. The good news is that there are organizations like Peaceful Playgrounds and Playworks which focus on playground solutions to those troublesome problems principals call recess hassles and headaches. Why not spend a few minutes checking out Peaceful Playgrounds and Playworks? 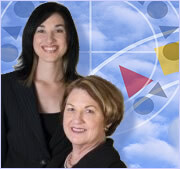 Both are research based recess programs that have a 10 year track record of success. For more information on our friends at Playworks check out their website and find out how they assist you in bringing play into the community and schools through training and programming. According to Playworks founder, Jill Vialet, a small investment in recess can have an outsized benefit to students’ learning and well-being.